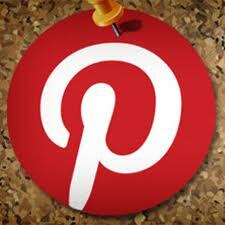 Over the last few months Pinterest has been the golden boy (or girl) of social media. Essentially it is an online gallery that allows you to post pictures of your favorite products and share them with friends. If you haven’t jumped on the bandwagon yet, there’s no time like the present to become acquainted with the service. Getting started is easy enough, but truly maximizing the return from your time on the site is a little trickier. Here are 7 tips to get the most from Pinterest. Before you dive in head first, it makes sense to do a little research to determine which users are worth following and which demographics ought to be targeted based on your objectives. Roughly, almost all Pinterest users are women, so marketing bench saws on the site may not go over as planned. Before you post or rather pin any photos, use Pinterest’s internal search feature to look at what’s trending and who’s interested. Nothing kicks your pageviews into the stratosphere like having an influential and prolific Pinterest user re-pinning your posts. Find Pinterest members with a lot of sway on the site who post often, and specifically pin pictures that you think may appeal to them. A re-pin from a Pinterest Tastemaker is like having Charlie Sheen circa early 2011 re-tweeting one of your messages on Twitter in terms of exposure. Just because a particular user isn’t a tastemaker or somebody with a massive following doesn’t mean it’s not worth it to have them following your posts. Whenever you run into somebody with common interests, re-pin their submissions. They’ll be far more likely to re-pin yours in kind. Pinterest is sort of like a microcosm of the whole web in that the more interconnected it gets, the more valuable the service becomes to everybody regardless of their specific goals. There are good times to pin a photo and bad times, and the choice between the two can make the difference between a deluge of traffic and a trickle. Ultimately, good content will be found on Pinterest and float to the surface. However, you’ll want to pin your content between the hours of 5 and 7 o’clock in either the morning or the evening for the best results. This will ensure that the maximum number of users see it when it’s fresh. One of the best ways to gain instant and lasting fans on Pinterest is with the almighty Instructographic, a portmanteau term that describes an infographic designed to teach a skill or trick. Here’s a quick example of an Instructographic on braiding hair. While a picture is worth a thousand words, a few of them logically strung together can be a surprisingly powerful driver of traffic when done right. Regardless of whether you’re using Pinterest, Facebook or Twitter for marketing online, analytics rule the day when it comes to gauging response and ROI. Google Analytics is one free option that’s always worth checking out. If you want to take the hassle out of manually assessing the statistics, Cyfe is a full-featured proprietary solution that many find helpful. While Pinterest has a way of generating tons of page-views all on its own, you can give your pins a bit of a boost by pulling in visitors from other sources. Make sure to slap Pinterest’s own ‘Pin It’ widgets to all your blog posts, articles and infographics that you publish outside of the site. The Pinterest Pin It button is fast becoming the new “Like This” of social media on a variety of web pages around the Internet. The manner in which we interact and market goods online continues to change at a pace few could have possibly imagined a decade or more ago. 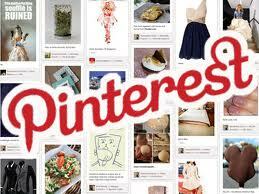 Pinterest is just the latest trend that’s managed to capture the imagination of millions around the world. Considering the fact that it’s now driving more retail traffic than Twitter, LinkedIn and Google+ combined, it’s safe to say that it’s a promotional powerhouse on the rise. Ignore it at your own risk. About the Author: Matt Beswick is an SEO and Social Media junky who runs a number of online businesses. Find him on Twitter @mattbeswick.